Reese and David are not normal teens–not since they were adapted with alien DNA by the Imria, an extraterrestrial race that has been secretly visiting Earth for decades. Now everyone is trying to get to them: the government, the Imria, and a mysterious corporation that would do anything for the upper hand against the aliens. Beyond the web of conspiracies, Reese can’t reconcile her love for David with her feelings for her ex-girlfriend Amber, an Imrian. 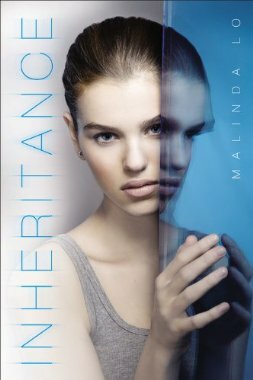 But her choice between two worlds will play a critical role in determining the future of humanity, the Imria’s place in it, and the inheritance she and David will bring to the universe. In this gripping sequel to Adaptation, Malinda Lo brings a thoughtful exploration of adolescence, sexuality, and “the other” to a science fiction thriller that is impossible to put down.